Our wonderful neighbors the Adams invited us over for a swim in their not-so-kiddie pool this morning. They got it at Costco for the low, low price of $39, and I think it will amount to a lot of summer fun! 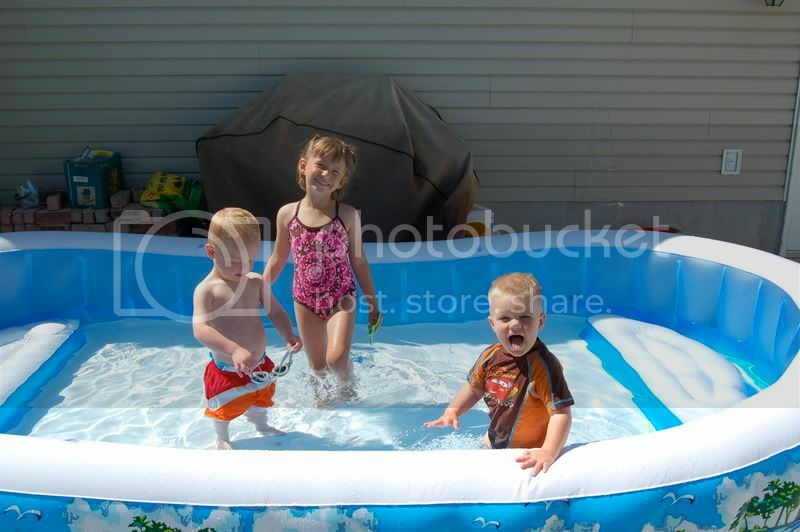 Henry, Beckett, and Kaylie decided to give the cool water a try. It hasn't quite heated up to a desirable level yet. After a few minutes of getting used to it he was a happy boy...and continued to "swim" for about an hour. 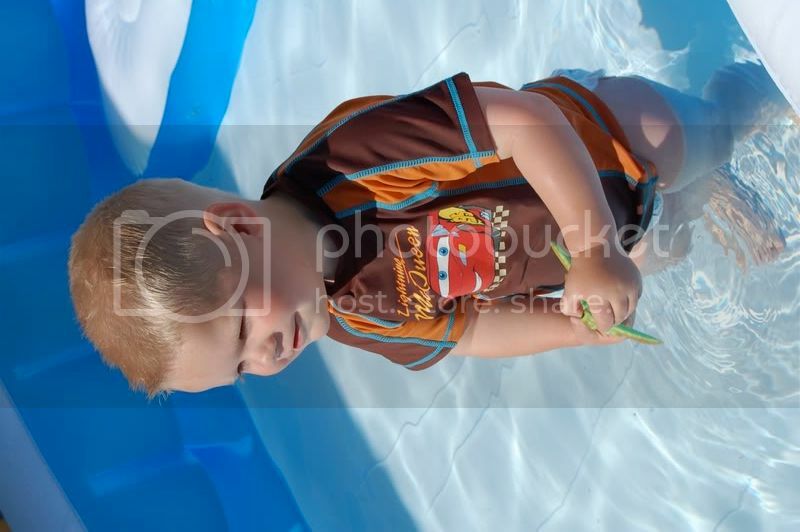 I kept a close eye on Henry because the bottom of the pool was slippery and he was walking very cautiously. At one point he tripped and fell backwards into the water. Everything went under but his face. 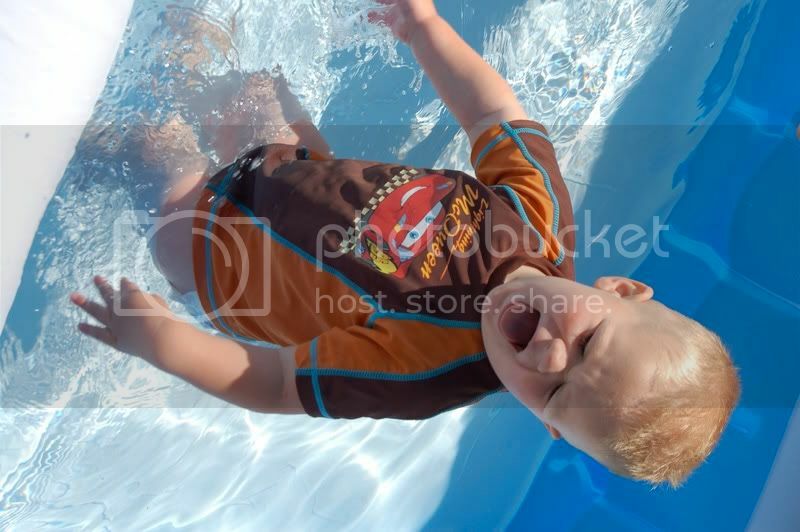 He was just floating in the water with his face out, screaming, of course! I rescued him, but he didn't seem to want to get back in after that. Hopefully he's not scarred. 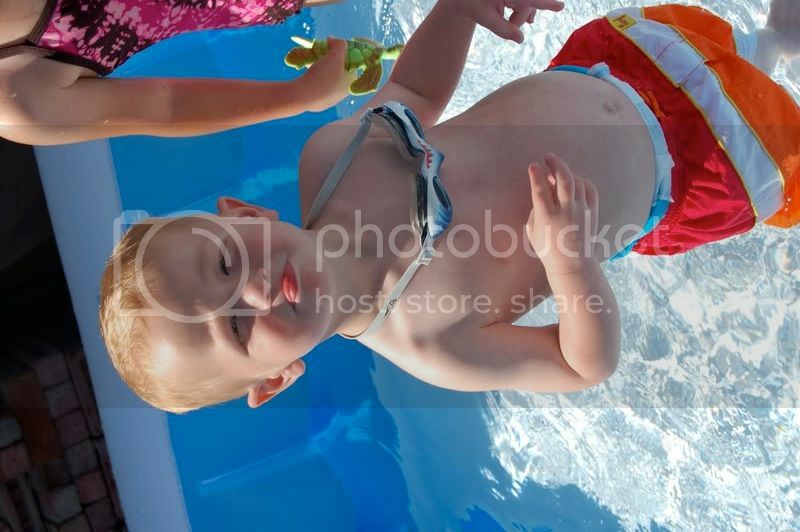 We're going to be needing another pool party this weekend when it's supposed to get up to 90 degrees!!! !